At Bentley at Paragon Village, we want to make it affordable and easy to plan for independent living and assisted living for seniors. Our goal is to provide affordable assisted living services that exceed the expectations of our residents and their families. With a Line of Credit or home loan, we can make senior living affordable today. Whether selling a home, applying for VA benefits or waiting for other funds, our financing options give you financial flexibility. We can provide funding in less than 24 hours. Our network of senior real estate specialists are ready to assist you with every step of selling your home – from listing through closing. And our fginancing solutions afford you the time to achieve the best sales price. Many qualified Veterans and spouses are eligible for VA benefits to pay for senior living. Our network of VA experts is ready to assist you with your application today. The Department of Veterans Affairs provides an Aid and Attendance financial benefit to eligible wartime veterans, couples, and surviving spouses of veterans. Depending on your situation, you may be eligible for up to $2,120 per month. We can introduce you to a resource group that will review the VA’s eligibility criteria with you and assist with the paperwork in applying for the benefit. Contact us to find out how to take advantage of our network of VA experts to apply for this wonderful opportunity. Your life insurance policies may be a financial solution for funding your move to your senior living community. Call us to discover how. A life settlement provides seniors with cash for their life insurance policy. Available for term, universal or whole life policies, life settlements, on average, provide three-to-four times the cash surrender value of your insurance policy. We can introduce you to a provider that will help you determine how much cash you can receive for your life insurance policy to determine whether this is a good option for you. 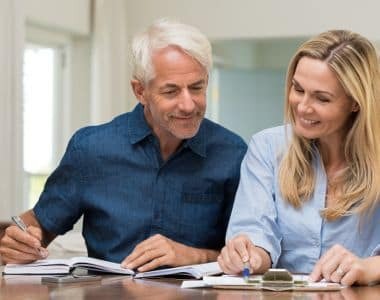 Long term care insurance can protect personal assets and inheritance for the family while providing greater choice in the selection of long term care settings. Depending on the policy you choose, long term care insurance can cover the costs of elder care services such as assisted living, memory care assisted living, home health care and nursing care. Contact us today to review your current policy and help with planning for assisted living costs.